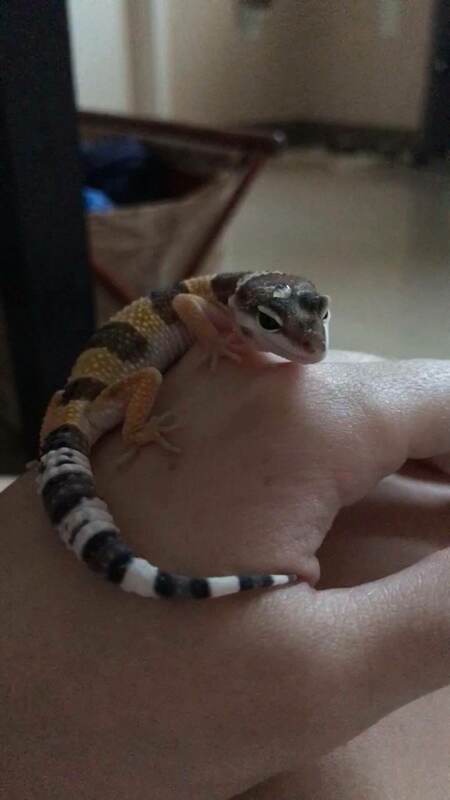 Introducing me and my new leo! Thread: Introducing me and my new leo! Hi, I'm Lexi! I'm 20 years old, born and raised in Tennessee, and I'm going to college for geochemistry! I've been into aquatics for awhile, but have been becoming more interested in herps recently. 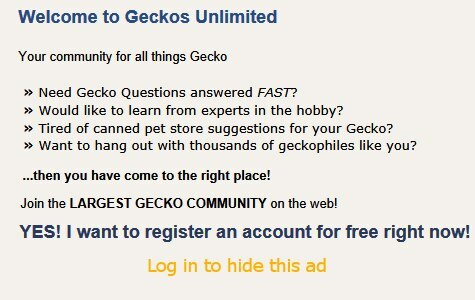 I've wanted a leopard gecko for months now and finally caved in and bought one from a local pet store 2 weeks ago. She's a baby (3-6 months old most likely) and a normal! Her name is Tango and I'm in love with her already! She's not scared of anything; she's been eating and climbing around her enclosure since the first day I got her. She likes to climb all over me and she likes to sit on my leg while I feed her. She does get antsy if you hold her for too long though as I'm sure most babies do; she will literally make a LEAP of faith out of my hands if she's not feeling it, so I make sure to be sitting on the ground at all times while handling. But yeah, that's when I know to stop bothering her. She also has a huuuge appetite and will probably eat way too much of whatever you give her, so gotta keep an eye on that! 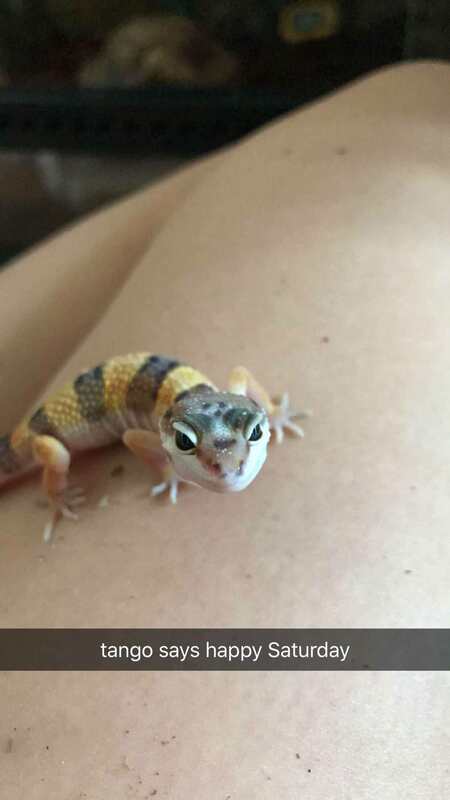 Anyways, I'm a super proud new gecko mom and I like to harass my parents with pictures of my new scaly daughter because they're both terrified of all reptiles. I'll convert them eventually. People are right when they say your first reptile won't be your last because I'm already considering getting a snake in October... but yeah, that's Tango. She's adorable.